Here’s another part of my perfume review series. If you want to find out why I’m doing it or to go back to the beginning and catch up you can find it here. a timeless sensation inviting a pure and absolute pursuit of pleasure. 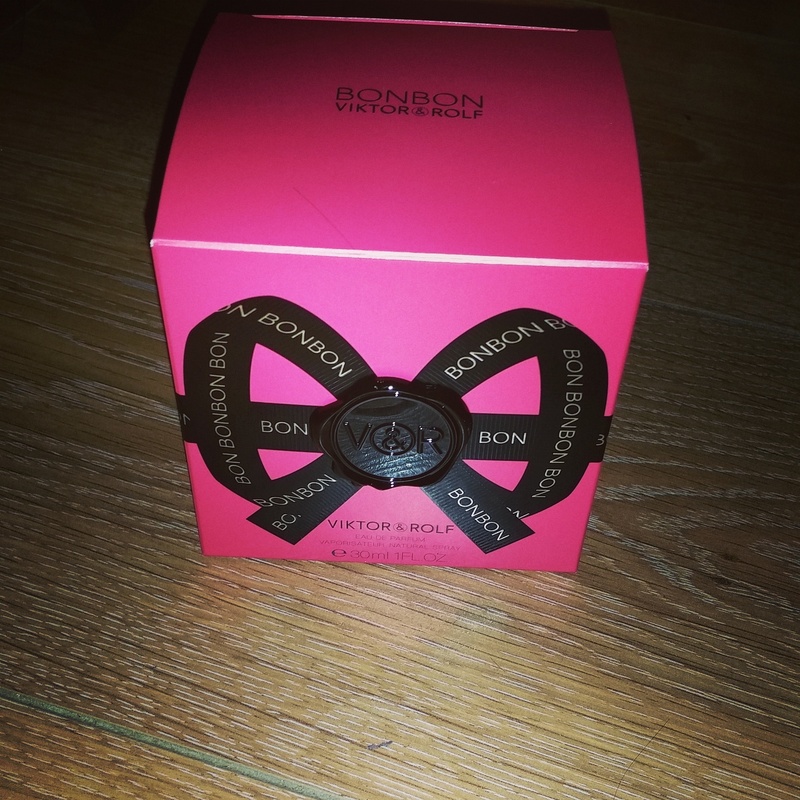 She who wears Bonbon, dresses herself in perfume whilst creating her own story. She is empowered, beautiful and complete. Caramel characterizes the scent’s evolution. From inception to completion, the caramel notes mature from a sharp, edible top note to softer and milkier in the middle then darkening to add depth to the base note. A pure delight, a haute confection. The description of this perfume suggests it completes a woman and makes her ’empowered’. It gives the impression this perfume is taking a leap and attempting to do something not previously acheived through a scent alone. I absolutely adore this perfume and was practically begging my partner to get me it last Christmas after seeing adverts throughout magazines and getting a whiff of it at some point as I went through a shop. The bottle is just so wonderfully pretty and fun and looks great on a vanity or dressing table and even when it is empty it will still be pink and elegant and suitable to have on display. I was so reluctant to get rid of this box for ages as the seal and bow impression on the outside is just so striking and lovely to look at. I really do hoard the strangest of things. But when the scent of the perfume is so perfect and incredible it makes it even harder. This has great fruity tones thanks to the mandarin, orange and peach crammed into the liquid. They smell sweet but are not too overwhelming and create a fresh fruity and more mature scent than some fruit based perfumes. These beautifully mellow out and allow for the caramel, jasmine and orange blossom come through. The caramel is the main scent that remains with the fruity tones and really delivers a sweet and joyful scent that is good enough to eat. The scent these notes provide are utterly irresistable and so enjoyable. It also has various woody tones to help balance the sweetness out but it doesn’t take it away too much or overwhelm the other scents as the perfume wears during the day. This is a grand aroma that I adore and it is so long lasting on the skin. It’s great during the day and night and feels so fresh, fruity, sweet and feminine without creating any worries that it will fade away or lose its best side during the hours. Despite it being so sweet this is a perfume that suits people of many ages and needing it for various purposes. Even though it is a very sweet scent it isn’t one that would suit a teenager looking for a sophisticated but fun fragrance as this just feels more elegant and grown-up than that.